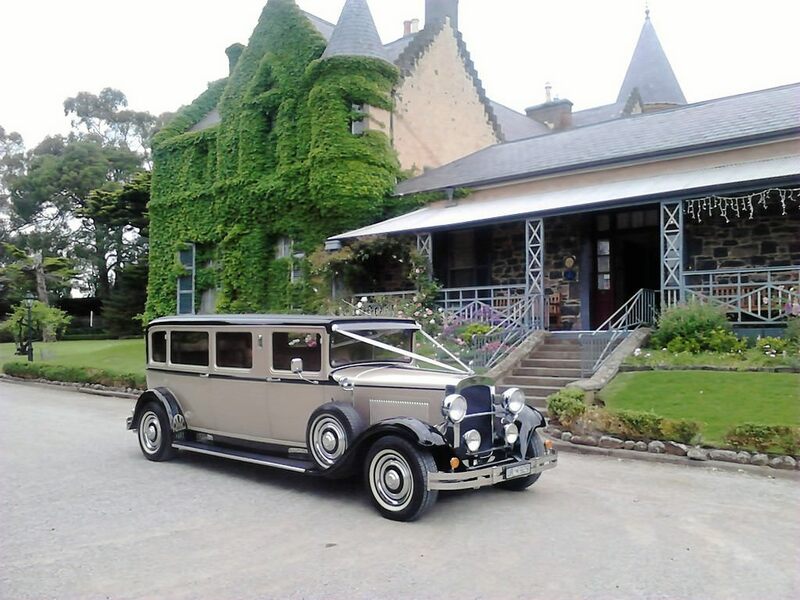 Interested in a limousine for your wedding? Good choice! If you’re planning your wedding transport, here are the top 10 wedding limousines for 2019! Most of us are unfamiliar with the specifics of such a unique and rarely-seen vehicle, researching and selecting one for your wedding can be a head-scratcher! We’ve compiled a list of the Top 10 Wedding Limousines for 2019 to make your life easier. Each wedding limousine is special in its own way, so hopefully you’ll be able to find one that appeals particularly to yourself and what you want out of your wedding. Save yourself the research and headache with Top 10 Wedding Limousines for 2019. Give your wedding a vintage flair with the 1929 Black and Gold Dodge. Its remarkable colour will glitter elegantly in the sun as you are transported back to the glamourous roaring 20s, a romanticised world of fun and style. If you want your wedding to throw back to this intensely magical period, this is the perfect wedding limousine for you. Powerful, stunning and just plain cool! The 1926 Studebaker Tourer Hot Rod limousine is for the couple looking to ride in something with a big more edge than your standard limousine. You’ll feel the roar and rumble of its muscular motor complimented by its sleek design and seriously amazing colour. Time for some modern limousines! 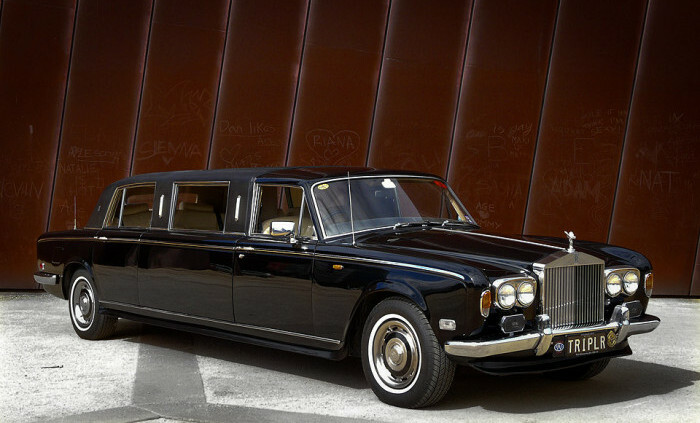 The “Dark Angel” Black Chrysler is perhaps what most of us imagine when we think limousine – long, classy and mysterious. Featuring all the best parts of a modern limousine service, including pull-up gullwing doors, bar service, entertainment, lighting and incredible sound systems. All of this is contained within a completely private space – like it’s your own little world. 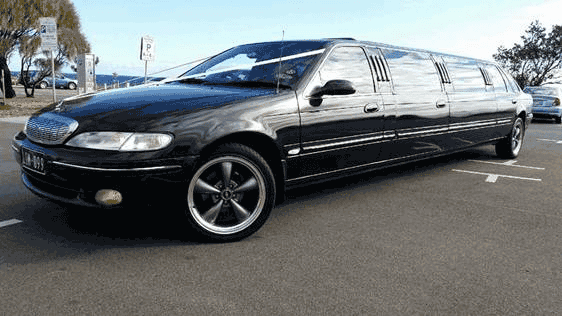 Lying somewhere between vintage and modern, the Black Lincoln Towncar is the perfect wedding limousine for those looking for something in between eras. It boasts a slick, distinctive design that sits from around the 80s till the early 2000s. 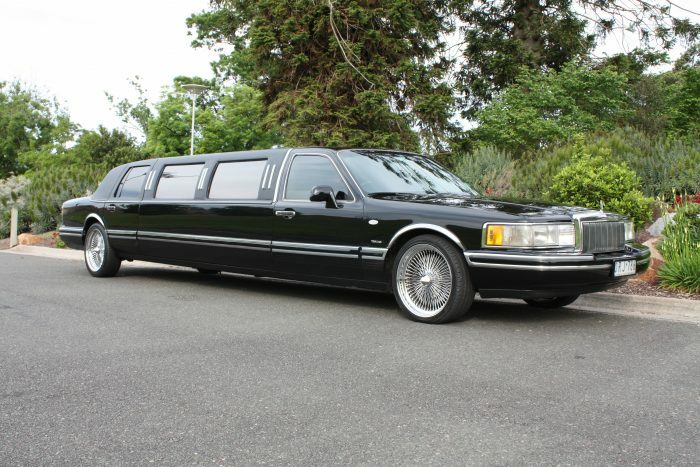 If you don’t want to overwhelm yourself with flashy gadgets, or tread the vintage limousine path, the Black Lincoln Towncar perfectly showcases how true class can be also subtle. Love, peace and revolution! 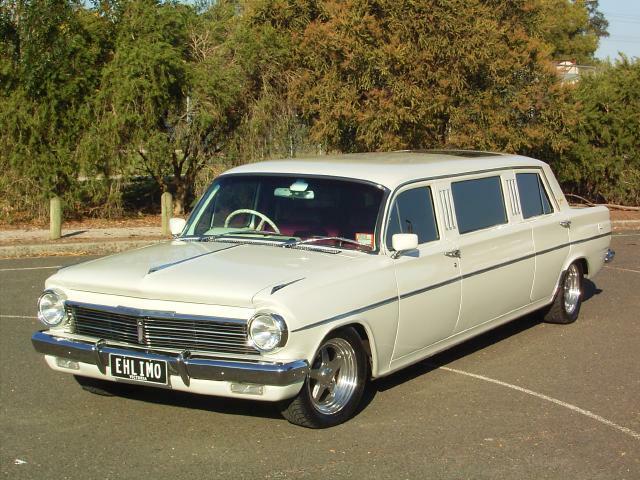 Bring the values of the 60s to your wedding with a unique touch, courtesy of the 1964 EH Holden limousine. This stunning limousine version of a relic of Australian automobile history has an incredibly powerful motor – being the first Holden to use the new ‘red’ engine with a 7 ‘main bearing crankshaft,’ as well as a look that screams everything classic. Make your wedding go from special to royal with the Black Daimler DS420, which is favoured by royals all over the world. You’ll feel the classic British engineering and state-of-the-art design as you ride in one of the world’s best, and join the ranks of those adored and revered worldwide – or at least feel like it! Another Chrysler entry featuring classic wedding flair and luxury. 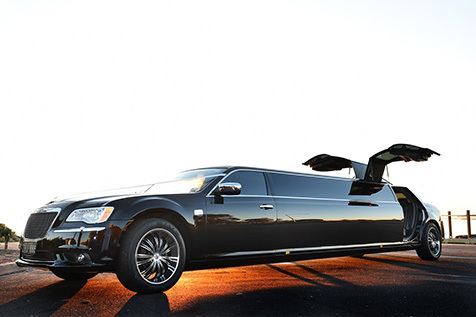 If you feel unsure about taking a risk on a more flamboyant wedding limousine (because, let’s face it, they aren’t for everyone), picking a classic wedding limousine such as the Black Chrysler 300c can do you no wrong. All guests will be thoroughly impressed and you will enter another world of luxury and sophistication once inside. Its complete entertainment system and impeccably-designed comfort will help you relax and have fun during your big day. A modern-style wedding limousine featuring a Bond-esque charm. Simple, yet elegant, the Black Ghia is another inspiring entry for the couple looking for a limousine that has a balanced effect at their wedding. A perfect backdrop and aesthetically pleasing when paired with a wedding dress – great for photography! Not many other car manufacturers carry the same weight as Rolls Royce. Boasting a regal luxury and superior quality, the Silver Shadow was once at the height of auto engineering. Your family will gasp at the mere mention of the name Rolls Royce, and you’ll be transported to a world of class rarely experienced in our day-to-day lives. 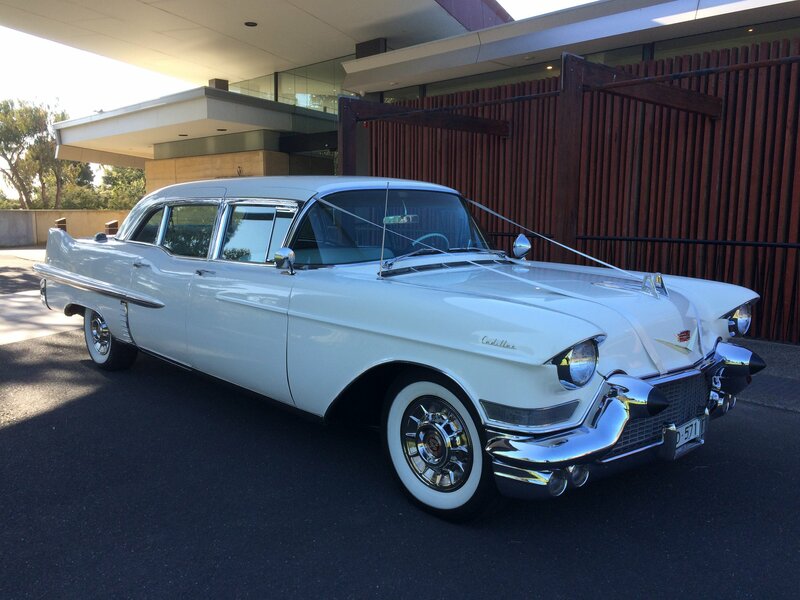 If the essence of the 60s doesn’t suit, why not kick-back in the same car as 50s old-school suburban guys n’ gals – with a 1957 White Cadillac limousine. Definitely not to be ignored, a cadillac of any kind is an instant attention grabber, and a true representative of the expression ‘classic car.’ Spice up your wedding with this unforgettable limousine. 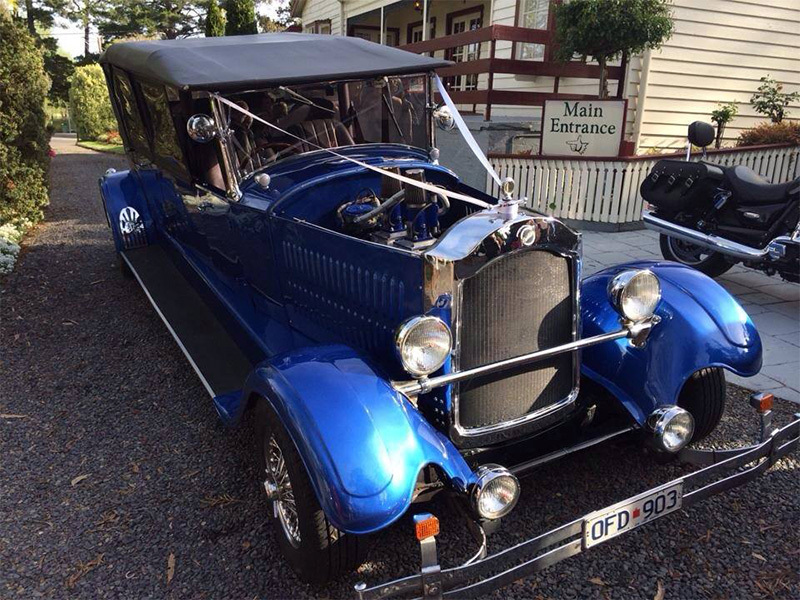 If you love the look of any of these limousines, or would like to check out what other options our members have on offer, check out the Victorian Wedding Car Association website. Whatever you’re after, we’ll help you find it!